Welcome and have a seat. Would you like a tea? Or maybe a cup of coffee? There you go. Maybe you found this article by accident or you found it because you want to learn new language. Whatever the reason, I’m here to help you… or at least try to help you. I’m a student of English and Slovak language and since high school I was in love with foreign languages. 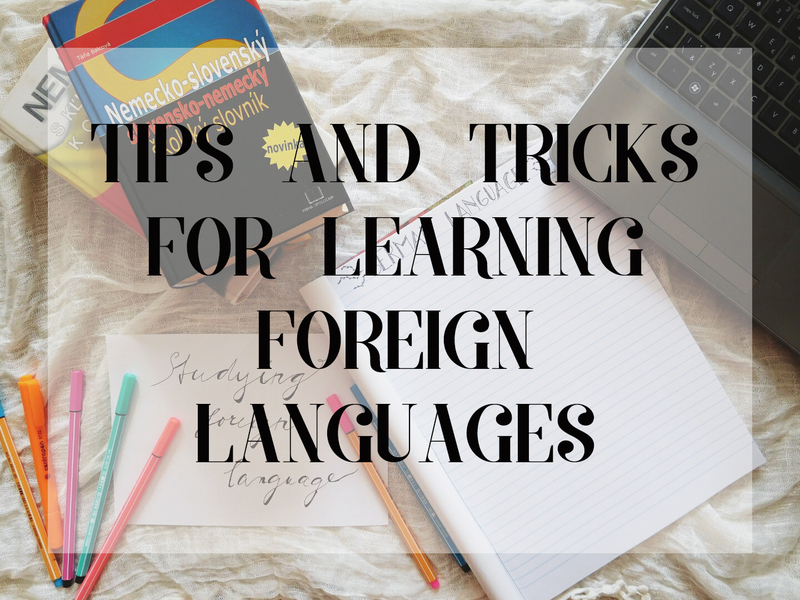 Now that I’m working as a language teacher and self-learner, I’d love to share my tips and tricks. You should really love the language. In the end, you’ll spend a lot of time together and there’s nothing worse than a dysfunctional relationship, am I right? It’s pure torture to learn language you have no interest in. You should be able to use the language in the future. Ok, let’s say you don’t love the language but you still need it for the future job or for travelling. In that case, you will overcome your distaste because you have higher motivation. And trust me, the right motivation will fuel you. Think about the difficulty of the language. Some languages are easier than others. Let’s say you want to learn Chinese or Arabic. You must learn completely new graphemes. That alone can be difficult and it can discourage you. For example, I’d love to learn Japanese but I can’t draw and their writing system is intimidating and I’m scared I’d give up. Will it be easy to get to learning material? Some languages are popular and well-known all over the world but some are not. Let’s take Slovak language for example. It isn’t as well-known as German and so it would harder to find some textbooks or other materials which will help you with it. Though the Internet is mighty and can give you answer to almost anything, even it has its limits. Do I have the time? It’s important to know that once you start learning language, you have the time to continue in learning the language. Which is my problem because I don’t have time for anything and still I want to study them. Let’s say you’re like me and you want to get back to the language you once studied. We have advantage because we don’t have to waste time with basics. Although, there’s nothing bad with revising them. It’s good to take test to know what level we are and where we should start. Lagmaster.com is a very good website where you can take sorting test and it will tell you what you know, what you don’t know (in my case, how much of the language I forgot) and it will guide you to the chapter you should start with. How smart is that? I took that test when I got back to German and it was pretty accurate. As I said earlier, I fall in love with languages too easily. Therefore, I’m tempted to learn a lot of languages at once. When I was in high school I had English and German and I wanted to learn Spanich, French and Hebrew… all at the same time. Okay, it was summer holidays and I had plenty of time but it was impossible. First, I didn’t want to study that much and second, the languages were mixing in my head and I was lost. This is definitely not working for me but we’re all different and it can work for you. Well, you can’t learn language out of nothing, which would be pretty awesome. Just imagine having a device in our throats with which we could change the language we are speaking. But I guess it wouldn’t be so much fun knowing all the languages. So until the future and the device, we have to use textbooks and other kind of materials. I use textbooks all the time and there are many of them to choose from. If you’re not sure which one will work best for you, just search your library. I have mine borrowed because I’m still experiencing with them. 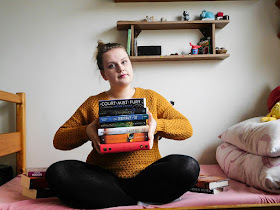 If you’re not fan of books (I mean, is there someone who doesn’t love books?) you can use all kinds of apps on Android or iOS. It’s crazy how we can learn the language with the help of modern devices. Other than that, I guess you’ll need notebook and a pen. I love to take notes when I’m dealing with new grammar because it makes it easier to remember and I can always get back to it, because I know exactly when I wrote it. There’s just something magical about taking notes and I know it sounds lame, but I’m sucker for taking notes. Not much for actually studying them. How is your relationship with languages? Do you like them or do you prefer other subjects? Which languages do you speak or wish to speak? Do you use some apps for learning languages? I fail at English and it's my ONLY LANGUAGE. *sends self to corner of shame* But I did try to learn French in highschool...self taught with a computer program and I was butchering all pronunciations with a very unemotional Aussie accent hahaha. Ahem. I learnt to read quite a bit from it, but ended up quitting because it wasn't clicking with me sadly. But I can count in French. Wooo. I totally admire you for knowing so many languages and loving the process of learning them! YOU ARE INSPIRING.